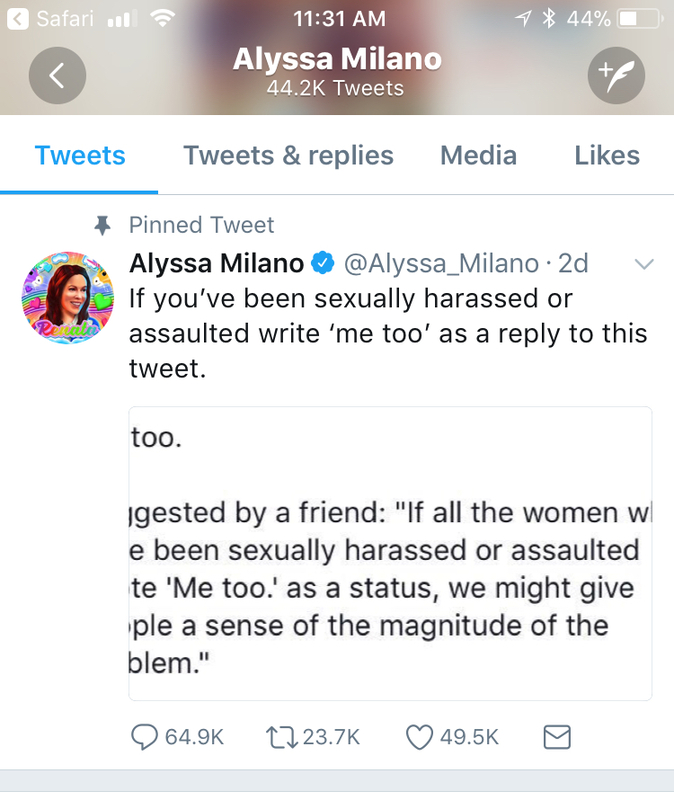 #MeToo has been a powerful social media movement that has brought to light just how many women have been sexually abused and sexually harassed. 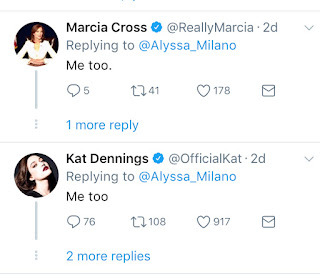 After actress Alyssa Milano asked followers to write "me too" in response to her post, the hashtag went viral and the stories of abuse and harassment flooded social media platforms. What of the horse show world? Certainly we are not immune. When I was learner-judging twenty years ago, I sat in judges' booths with male judges who continually made sexual references. They talked sexually about the women who came into the ring and stood on the sidelines, commenting on their figures and body parts. I also clearly remember a list being compiled of the most desirable (fill in the real word here) women at the horse show. I cringed. My face grew hot. I felt deeply uncomfortable. But I tried to chuckle along with them and pretend I could be "one of the boys." I wasn’t risking getting my license because I spoke up about the inappropriate nature of their talk. Even as I type these words, I worry that this blog post may very well cost me jobs. I know another female judge who was propositioned by a horse show manager. When she said no, she was never hired again. How many more female judges have stories like these? To be clear, this is not all male judges or horse show mangers. There are plenty of perfect gentlemen out there and I’ve been privileged to work with them too. Nor is this issue unique to women. 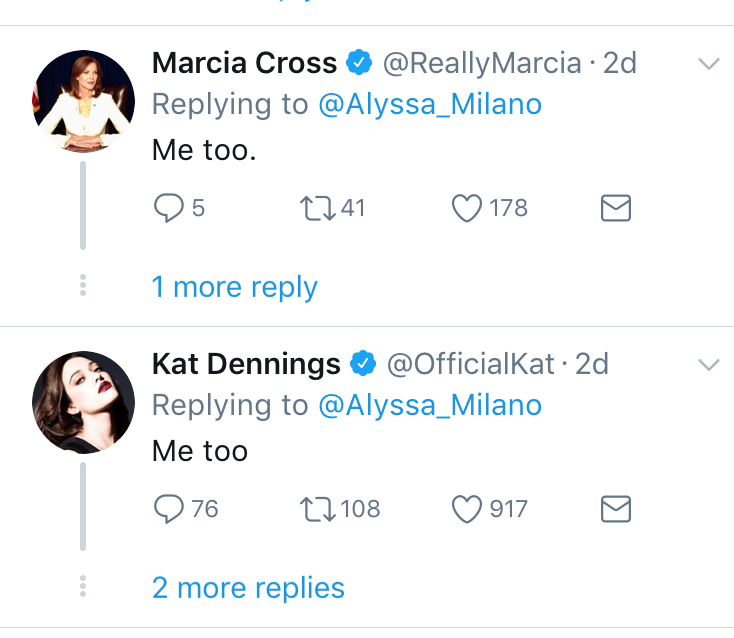 I’m sure many gay men have their own #MeToo stories. And what of the riders and trainers and horse dealers? The riding world is full of women and many men hold the position of power as trainers. You do the math. 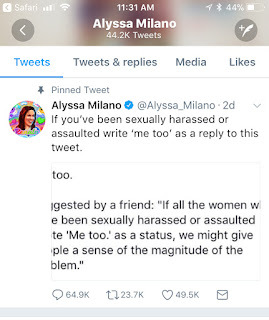 I saw a lot of #MeToo hashtags on friends’ walls. But the majority of those was from friends in the non-riding world. And why wouldn't we keep quiet in a world where the person who harasses you is often the person who decides whether you are hired, whether you win a class, whether your horse is sold, or whether you receive attention as a student and a client. Maybe I am the only one with a horse world #MeToo story or maybe we're okay with keeping quiet. Kim Ablon Whitney is a 'R' judge in hunters, equitation, and jumpers. 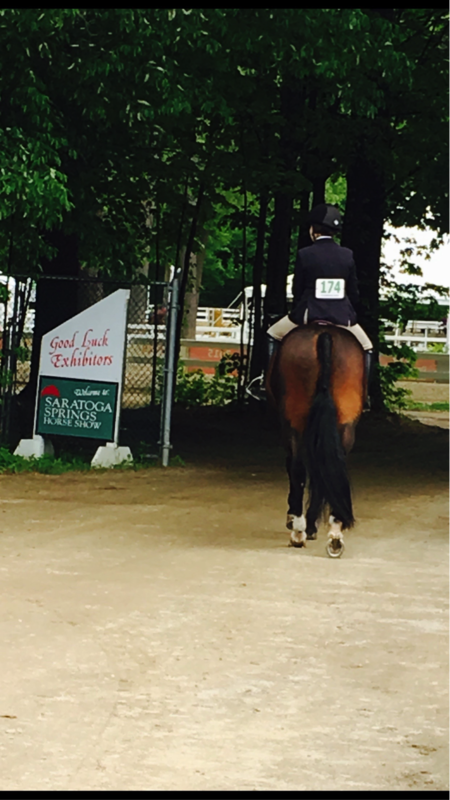 Maggie Junkin and her horse Tommy Bahama entering the back gate of the Saratoga Springs Horse Show in 2017. Saratoga Springs, NY has always been one of my favorite venues for a horse show. I have been coming to Saratoga to show since I was 8 years old. 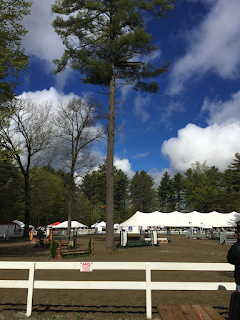 The wooded atmosphere always made for a unique change to the horse shows usually hosted in large open fields. Stabling “behind the scenes” of the racetrack is also different and so much fun. I love my walk behind the track making my way to the schooling rings while watching the Thoroughbreds breeze on by. The town of Saratoga Springs is also something to look forward to. With its shops, restaurants, and outdoor cafes there is plenty to explore during my downtime. My favorite horse show here is the Saratoga Springs Horse Show, a charity horse show held for three weeks in May. 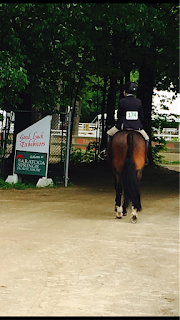 What makes this show different than most of the shows I attend is that the Saratoga Springs Horse Show is non-profit and supports local Saratoga area charities. This past year I was happy to spearhead a supply drive and money collection for the Saratoga County Animal Shelter with the help of horse show management. It was during the 2017 show that I discovered this would be the last year the show would be held at this venue. 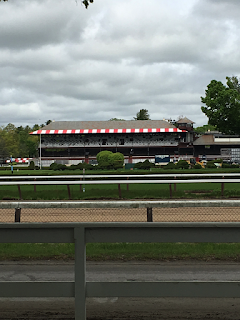 I was disappointed to think we wouldn’t return; however, I am happy to learn that the Saratoga Casino Hotel and the Capital Fund of Saratoga County, Inc. have entered into a joint venture to keep the Saratoga Springs Horse Show within the city of Saratoga Springs. The three-week horse show will take place in May, 2018 at the Saratoga Casino Hotel, not far from the original venue. 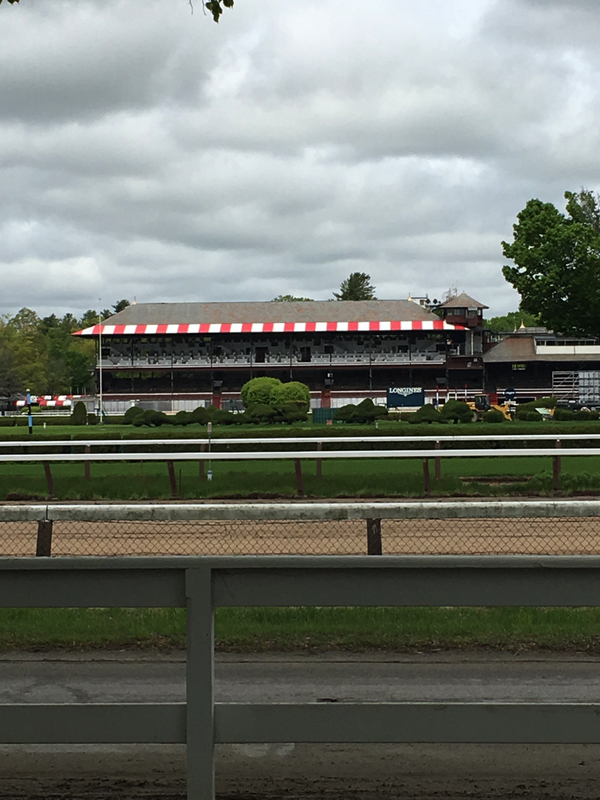 As an exhibitor I look forward to enjoying the many new amenities of this venue while maintaining the traditional feel of the original Saratoga Springs Horse Show. Another way to help is to host a BARN CHALLENGE at your barn. My barn family is joining together to help raise money for this great cause. 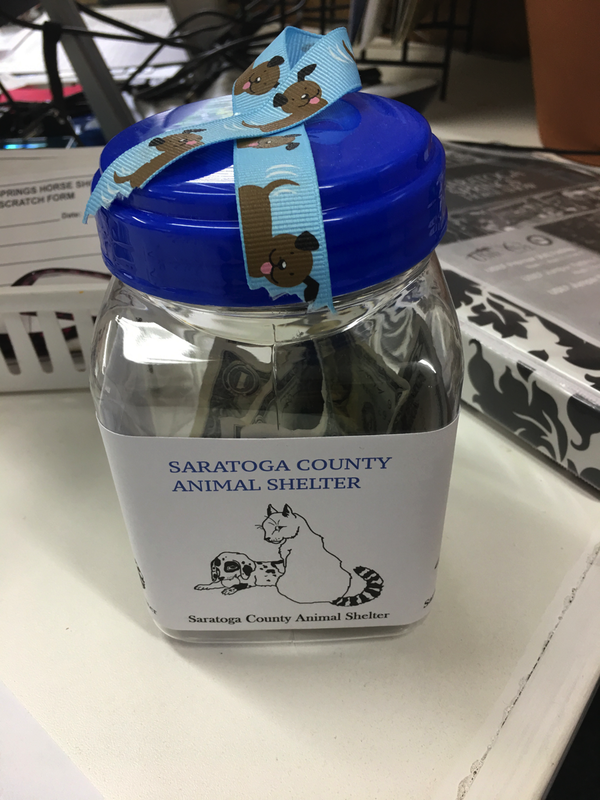 The Saratoga Springs Horse Show has given back to so many charity organizations in the Saratoga community over the years. It is time for us to come together and help them continue their mission. 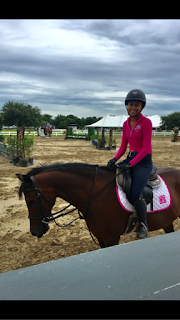 Maggie Junkin is a 15 year-old hunter rider. She began riding at the age of four and her first horse show was the leadline class at Devon. She has competed all over the country, including Pony Finals, Devon, Harrisburg, and WIHS. She loves showing in different venues and has competed in Zones 1, 2, 3, 4, 5 & 7 and hopes to complete that list someday. She continues to show large pony hunters and also shows her horse Tommy Bahama in the Children’s Hunter Horse Division. Maggie trains with John Mastriano of Tustin Farm in NJ. 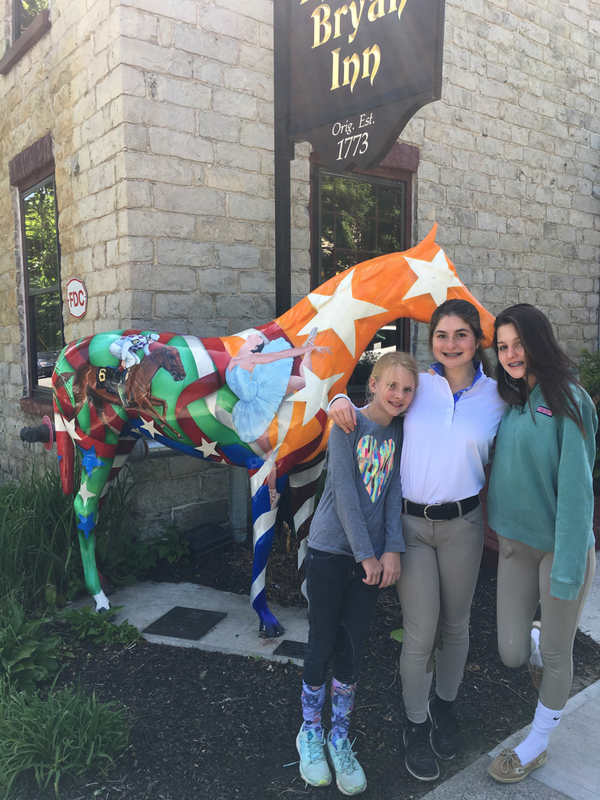 She lives with her family, six rescue dogs and three cats in Jenkintown, Pa.
A Junior Changemaker and avid fundraiser, Maggie is committed to animal rescue. In fifth grade Maggie started “Mags For Wags” an initiative to help homeless pets across the USA; their mission is to fundraise for shelters and rescues to help homeless pets in need. Her favorite rescue to support is Danny and Ron’s Rescue. 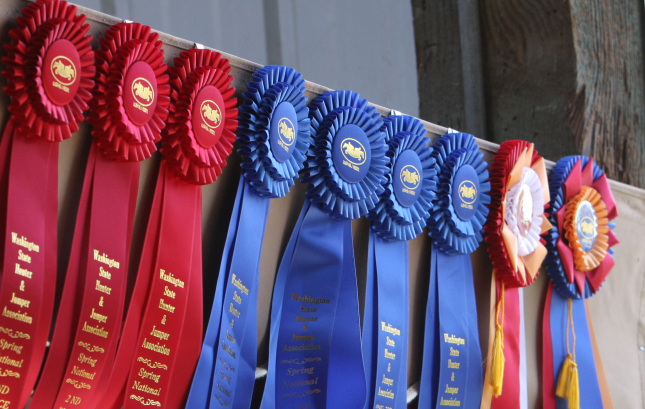 You know what the best thing ever is at horse shows? The blue/red classes. You ride your course and the judge decides if your round is good enough for a blue ribbon or a red ribbon. If it isn't good enough for either, you get no ribbon. What's in it for you? A happy judge. You see, if you don't have a blue/red class, you typically have a low or schooling hunter class where the same 30 horses go twice and the judge has to compare them all against each other and decide how to place them. This takes much more concentration and brain power--brain power that should be kept in reserve for the rated classes that also appear in your 10 hour jam-packed-no-lunch-break-no-coffee-breaks-limited-bathroom-breaks work day. The judge can evaluate each ride for what it is and not bother about how it stacks up against the others. 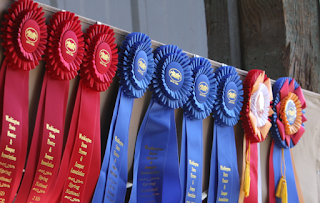 It's pretty easy to decide if one round is worthy of a blue or a red ribbon, and which ones aren't worthy of either. The hard part of judging is comparing the rounds and deciding which round is better. It's the splitting of the hairs. With blue/red classes, there's no need to vividly recall the horse that went first in the order and then three hours later compare it to the horse that went sixty-first. (Or eight hours later in the case of a class that is held open all day.) Again, brain power saved. Added bonus: this way many more horses can win. You also don't have to wait around to find out how you did. Sure, maybe it feels like the ribbon means a tiny bit less. You can't brag that you were fifth out of 30 in the lows, most of whom were professional riders, at whatever A show. But you got your horse in the ring, you got your practice ride, and you still have a judge that feels fresh and ready to split those hairs! Kim Ablon Whitney is a USEF 'R' judge in hunters, equitation, and jumpers. A One-Eyed Pony at Pony Finals? You Bet! Not much surprises me in the pony hunter division anymore, but I have to say meeting Good2Go, aka “Levi,” and his owner/rider Nicole Farr certainly did. I was showing in the large ponies at the Charleston Summer Classic when I first saw Levi and Nicole. They were showing in the large pony division along with me. Levi looked like many large pony hunters I have seen over the years--a beautiful bay pony, great mover, and cute jumper. But something else about Levi caught my attention. He was different than any other ponies I have seen competing in the division. Levi was missing his left eye. When I first noticed this, Levi was going around the schooling ring like a pro, bending left and taking on all the jumps without a problem. I did a double take. I had to seek out Nicole to learn more about this remarkable pony and hear his story. Nicole was kind enough to meet up with me for an interview. 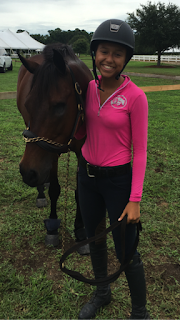 Nicole is 17 years old and is from Orlando, Fla. She trains with Peggy Stevens of Brookmore Farms. Levi is 11 years old. Nicole and Levi have been a team for two years. According to Nicole, Levi had a successful career in the children’s hunter pony division prior to his injury and went to Marshall & Sterling with his previous owner. It was in 2014, before Nicole owned Levi, that he lost his eye in a pasture accident. Every attempt was made to save his eye, but it was not possible. Levi had his surgery at the University of Florida Large Animal Hospital. After his surgery, Levi had some time off. His personality had changed and he had become very ornery. Nicole decided to lease Levi for a year. In their first year together, Levi began to bond with Nicole and learned to trust her. He developed a sweet puppy dog personality. Nicole credits Levi for changing her riding personality as well. Levi is very sensitive to Nicole’s non-verbal communication. He reacts to her nerves and is very in tuned to her fears. Nicole had to learn to trust in Levi’s ability. Once she gained confidence at home, she had to learn to control her show nerves. “He has taught me to relax and realize showing isn’t that scary," she explains. Nicole now owns Levi. They started doing the green pony division in 2017 and qualified for Pony Finals their first time out. This is Nicole’s first time doing the division and Nicole is very excited to go to Pony Finals. The Charleston Classic Horse Show was Levi’s debut in the regular large ponies, where he earned good ribbons and a first place in the hack. I was also curious if Nicole has noticed any discrimination from judges. She stated that judges have been mostly supportive and a few have approached Nicole with kind words after her classes. What is next for Nicole and Levi? Nicole will age out of the ponies this year. She plans to keep Levi and take him with her to college. She also hopes to move into the jumper ring next year. Meeting Nicole and Levi was a real pleasure. Levi is an inspiration and Nicole’s love for this special pony is obvious. Their relationship shows that a trusted bond between rider and horse can go a long way towards success. I truly wish this team much fun in their future endeavors. Good luck at Pony Finals, Nicole! I think you and your one-eyed wonder pony are “Good2Go” and I am definitely rooting for you!